MANSON ENTERPRISES (INDIA) Pvt. 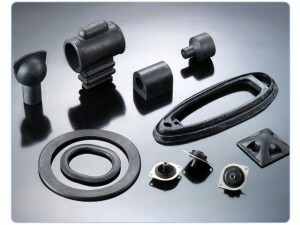 Ltd. is a leading Rubber Component manufacturer of repute located in the industrial town of HOSUR, Tamilnadu since 1992. The Company’s Product Range include Rubber Components used by the Automobile, Mining , Agriculture, Defence and Industrial Sector. Our Products are manufactured to meet the specifications of all our Esteemed Clients some of them being M/s Carborandum universal limited, Teneco Automotives, India Nippon Electricals limited etc. We are also OEM suppliers to M/S TVS Motor Company, Ashok Leyland, Mahindra, Tata Motors etc. The Company is promoted by Mr.M.Prasad, Technical Director, is a Post Graduate with wide knowledge in Automobile Engineering, Electrical & Electronics and Refrigeration Technology. He has experience in the field of Rubber Goods manufacturing for over three decades and takes care of the technical activities. The company is headed by Mr.Arjun Prasad who is the Managing Director . He is an Engineering Graduate , young and enterprising with extensive experience in the IT sector as a technical delivery manager in “TATA CONSULTANCY SERVICES” before taking over operations of the company. The other Director Mrs.Rajshree is a Honors Graduate and takes care of commercial/administrative activities and is the Management Representative of the company. Import Substitution has been a goal of the Company and has successfully achieved the same for several components have been designed/Produced/Supplied by us to several OEMs (Refer Customer Testimonials). We are constantly striving in our efforts to provide solutions to our customers through innovation and looking forward to more challenging opportunities. To be one of the top ten Rubber Products Manufacturer in India by the year 2022. And to earn an iconic recognition in the Rubber Industry. Customer delight through continual improvement of quality rubber products and services as per customer requirement. Customer delight through continual improvement in the effectiveness of quality management system. Customer delight through self discipline ,dedication and committed teamwork.